Like oil sloshing atop of the waves, the black feathers draped against the crows body its eyes watching as its beak picked, stabbed and ripped at the flesh. Delicately its claws clamped onto the dead, blood and the slime of life dribbled from its long beak. Another crow lowered itself to join in on the feast, nothing was said, a lot was to go around. More eyes are welcome as each bird succulently twisted skin and muscle from the shattered bones. Life was easy, it came and went. It needed sustenance and in the end, it became it. The crows knew this, they understood it with their instinctual drive to seek out death. The life that once belonged beneath them understood it too. Beyond the dining of the birds was an equally as simplistic ritual of life and death. Man, nature’s most volatile of creation had evolved beyond the carnal instincts and into the mechanised institutions of destruction. What was once intimate was now wholesale. One such predatory being stood upon a podium, his voice carrying far, barely audible to the crows as they sliced through dead flesh. The speaker’s words slid eagerly into the ears and onto the brains of those in attendance. Applause, nodding heads and gracious expressions of esoteric delight validated the man’s vocal ambience. To nature, indifferent to the institutions that provided one man with greatness above all others, observed and licked up the dead produce of such human civility. Humanity the great destroyer also fed the insignificant beasts of nature most often indirectly. A roar, like hunting mammals on a barbaric plain cried upwards at the climax of the man’s speech. Only the constructs of civility could invoke such vulgarity. The roar cheered and clamoured for so much death to distant humans, it sought their destruction it called for their misery. It was unnatural and yet to such civilised beasts, perfectly normal. The words soon writhed into actions, just as the flesh beneath the crows crawled with maggots marching men trudged eagerly off to make more death. The roaring chants echoing into history, the euphoria of promised glory dwindling into the peril of approaching dread. At home, among the safety of familiar comforts loved ones, well wishers, cheerleaders and rulers crawl inside blankets free of the chill of fright and snow. Bravely baying for others pain. The marching men meet their foes, the agony, death, hunger and fear unifying them, each sharing in the desperation transcending language or the illusion of home. The crows and maggots visited upon them with as equal regard, blind to the costumes that shred exposing the broken flesh and liquid bones. Hungry dogs chewed on the cooked and uncooked flesh with as much ease. The words and promises of glory mute beneath the crunch of sinew inside the jaws of nature. Upon more podiums, before the flicking of technology the great speak and promise, their words meaningless if not for the obedient. The obedient go on, the civilised and intelligent beasts leap from planes, lunge from boats and run from trucks so that they may enter the churning cauldron of death. No ominous being of manipulative divinity forces them, they do so upon their own willingness their families own eagerness. The past, the days, weeks into the years before when nature was bashed from them, institutions heralded above their singular lives they could have balked, should have dissented instead, they believed. More than themselves was promised, lies and illusions spoken from afar as they rot and roam the desolation of humanities greatest triumphs. Carrion cares little about who owns the land, who wrote the laws or what coloured rag flaps above unmarked graves. History has no narrative in the coming and going of life. The colourful borders found only on a map and inside the mind of humanity are important not to the birds that fly above. In the end the prince and peasant rot away and their flesh, tendons and innards all taste the same. The crows do not get choked up on mere words or musical tunes, only on those that do. Once the attrition wears on and thousands perhaps millions have fallen, rivers of blood and tonnes of fertiliser made from the brave and innocent the great institutions are praised for taking it upon themselves to end the futility of civilised conduct. They shake hands and sign ink into thin sheets of what was once a tree so that the deaths may stop for another time. 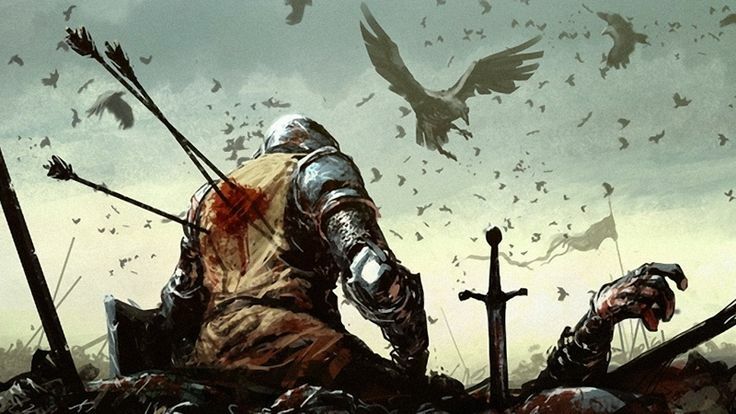 The same great men who spoke beyond the ears of the crows now talk about another courage, another glory. The weary crowds applaud and those that once cried upwards for more death and misery in the before now clap eagerly for its cessation. If not for their support and cheering neither was possible. Someday, one day the swords, the bullets, the cannons, the napalm will not be enough. The words will be so great and the images of glory so assured, the brinkmanship so close and with the right man, the most human, the most civilised the ultimate realisation of the violent futility shall be sought. It has twice before above densely populated targets. And scores more in remote and distant lands where the earth remains poisoned. The explosions so great, the science magnificent. On that day, when humanity over steps its glory the crow, maggot and natures lesser beasts shall not profit in the simple generosity of man. Nature herself shall too be consumed by her most arrogant creature, how many atomic explosions would it take to kill a whole planet? “Let’s find out” a great man shall some day answer. Next Post Half Caged episode 002 – Actually hurting someone.